Single Source Rentals opened its doors in January 2009 and has grown into a dynamic, reliable Equipment Rental shop. 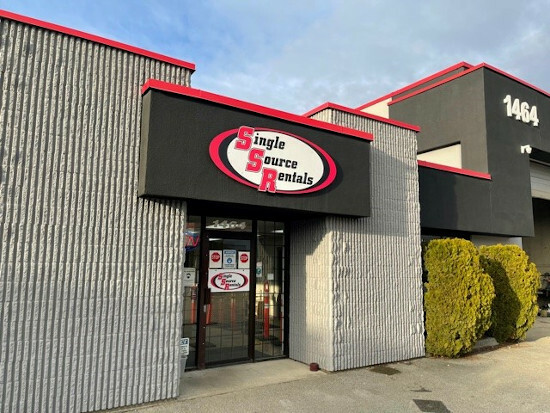 Conveniently located between the Golden Ears & Pitt River Bridges, Single Source Rentals can service the Fraser Valley and Metro-Vancouver area with our extensive line of equipment for all your rental needs. Clean, well-maintained, good quality equipment and tools to the Construction Industry or Do-it-yourself homeowners. Our licensed mechanics ensure that our fleet is working at its best and if you rent equipment for a longer time and it needs servicing, they will come to you and service directly on-site – keeping your down-times minimal. At Single Source Rentals we take pride in our equipment fleet, our friendly customer service, our delivery fleet, and finally, our exceptional employees who are continuously going the extra mile to help you, our valued customer.